I love getting real mail. Emails, text messages are fine and dandy, but to open up your mailbox and find a letter, card or gift from a beloved family member or a dear friend, well, that is priceless. It doesn’t happen enough. A whole generation is growing up without knowing the pleasure of snail mail correspondence. With the help of sites like Postcrossing.com (it’s fab…sign up today and start getting beautiful postcards from countries around the world! ), people all over the globe are still sharing tidbits of their lives through the good old post. 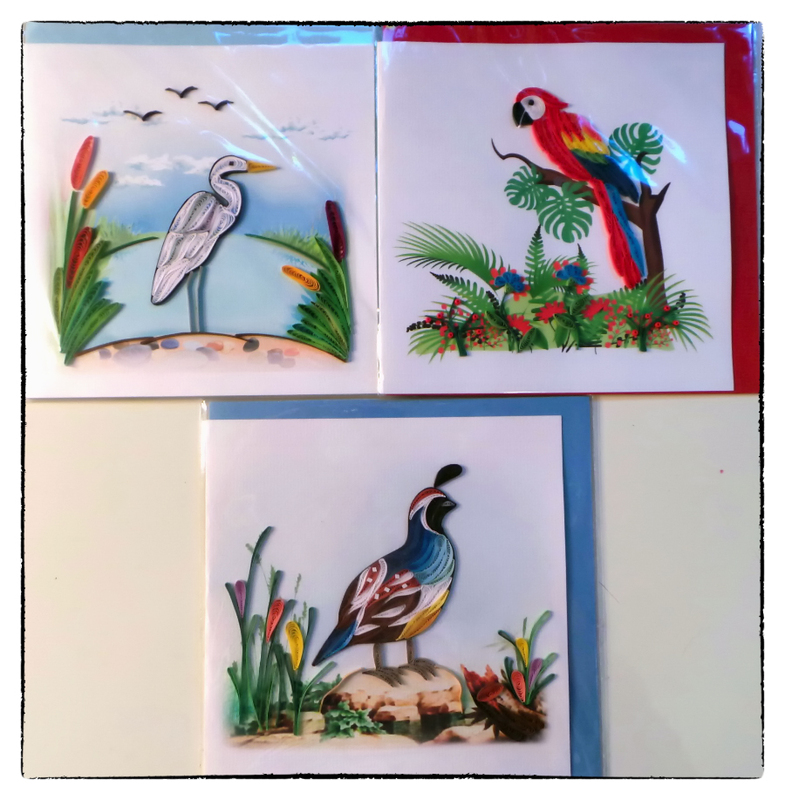 Here are some wonderful birdy buys I have found that are perfect for snail mail. These are from Tree-Free greetings and are made from earth-friendly materials. They have many to chose from on Amazon and they come in a cute tin too. 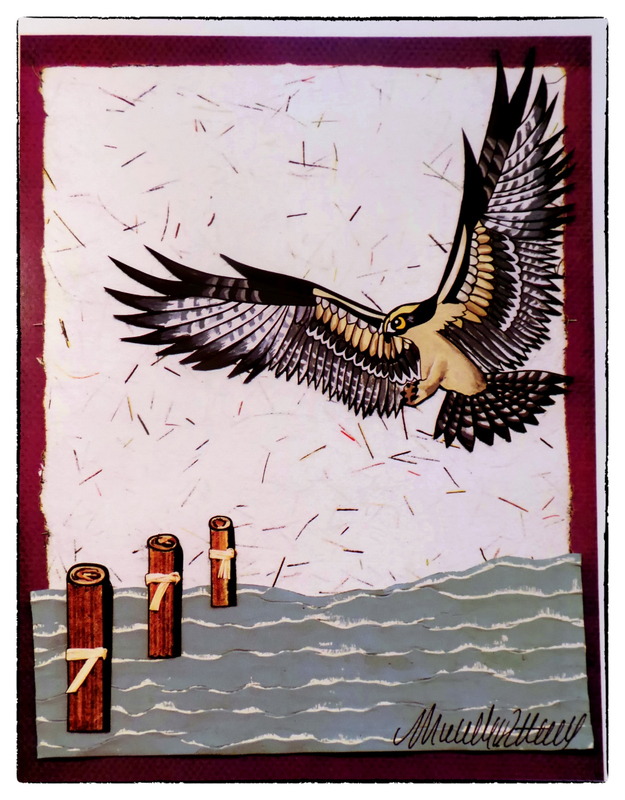 They feature artwork by James Hautman, Mike Klafke and Persis Clayton Weirs. Even the envelopes are gorgeous! 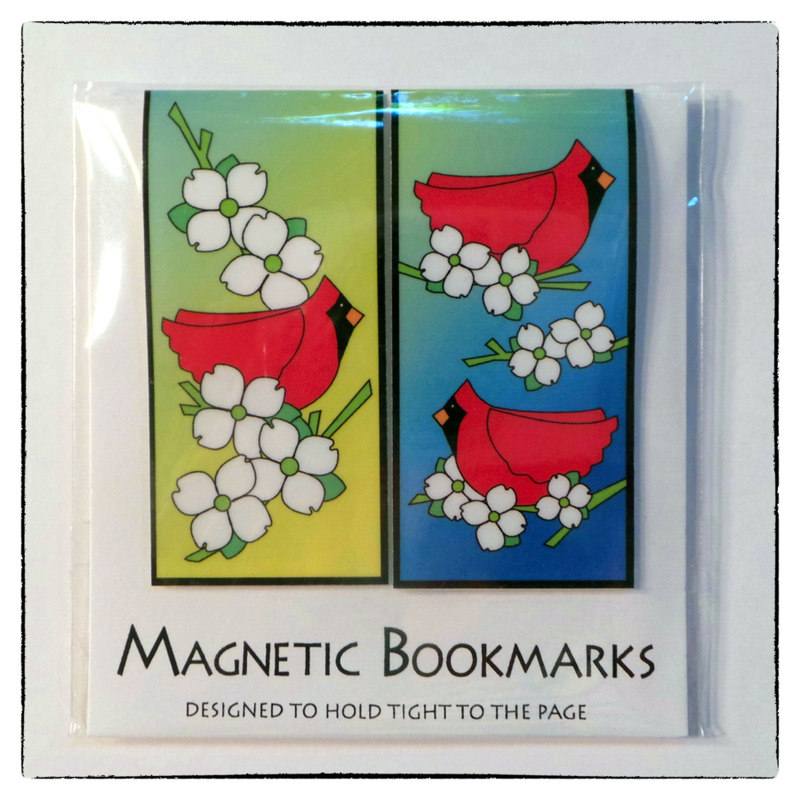 These magnetic book markers by Paula Minges of Palmetto Cat Designs are a perfect size for slipping into a card and sending via the post. What a cute and thoughtful gift for the reader in your life! She has several birdy designs to choose from and even has notecards available to purchase. I have several sets of these and I love them! 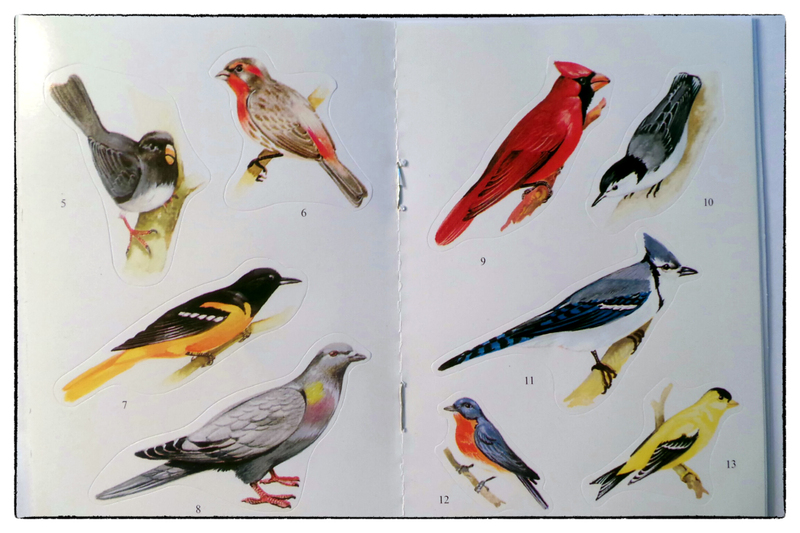 How about dressing up snail mail envelopes with some birdy stickers? 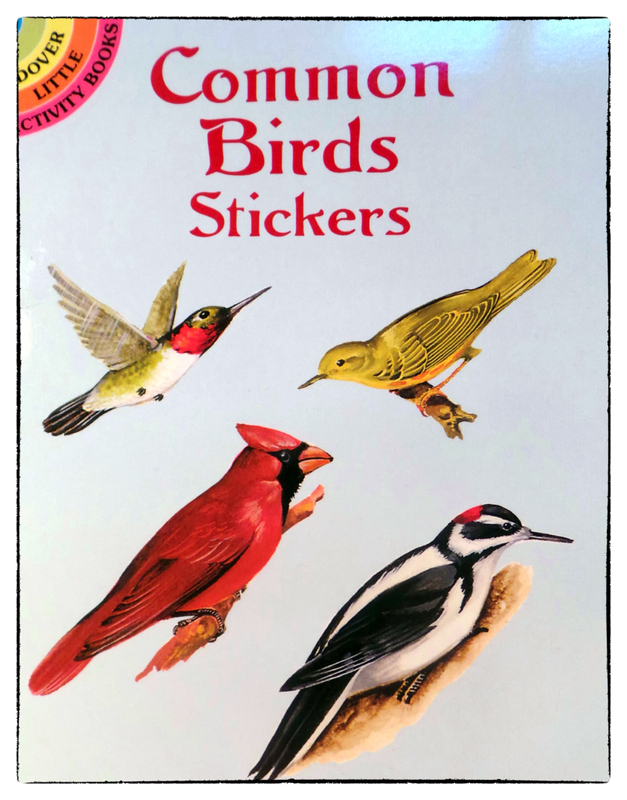 Common Birds from Dover are perfect for just that! Grab several at Amazon! 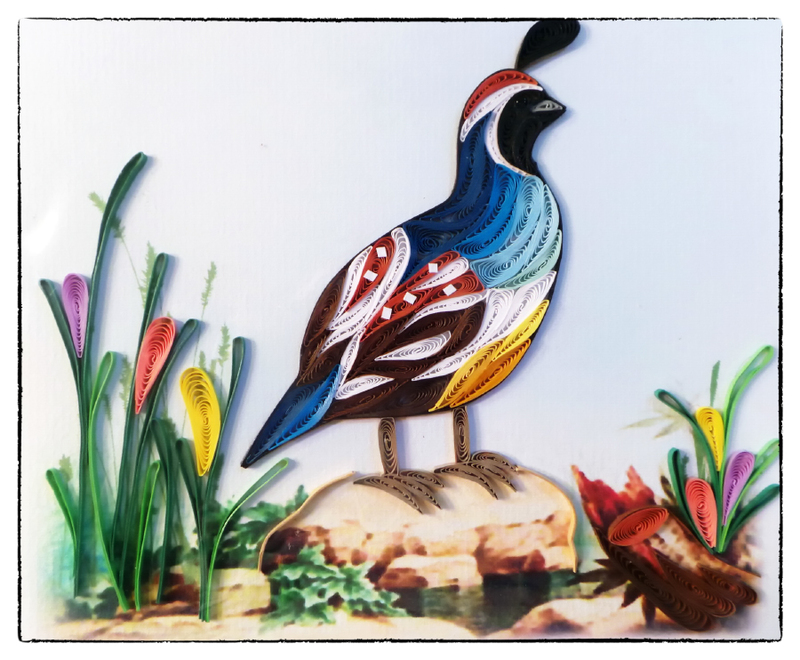 My favorite are these Quilled cards from Yoderdo. It’s an art form from the Renaissance where strips of paper were rolled around the quill of a feather and then shaped into designs. I must try these on some of my own birdy art! So cute! The Gambel’s Quail shown below is my favorite. And finally, you can’t send snail mail without stamps! 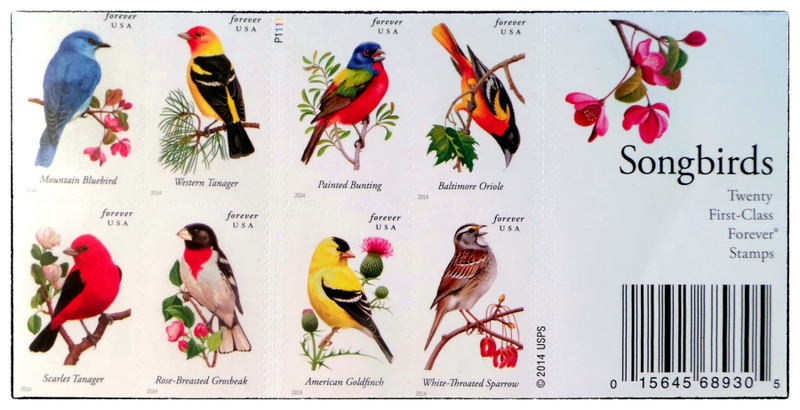 The US Postal Service has released new stamps this year featuring all our favorite, colorful songbirds! They have redone their online postage store and it’s easier now to purchase all manner of beautiful stamps online. These are almost too pretty to use! I challenge all of you to send a “hello” to someone using snail mail. It will brighten their day! Me too! And they are so affordable which makes them even better!